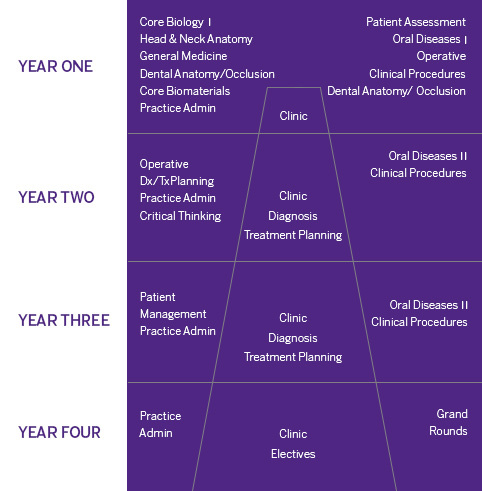 The foundation of Dentistry Curriculum is based on a central core of Comprehensive Patient Care. The amount of time, complexity and responsibility the student undertakes in this clinical core increases throughout the four years of the program. Surrounding this core of Comprehensive Patient Care is all the didactic and preclinical content that will prepare graduates of Schulich Dentistry's program for independent general practice.